WELLINGTON, New Zealand -- Everybody survived a plane's crash landing in a Pacific lagoon Friday morning, with boats helping rescue more than 40 people from the half-submerged aircraft in the Micronesia archipelago. 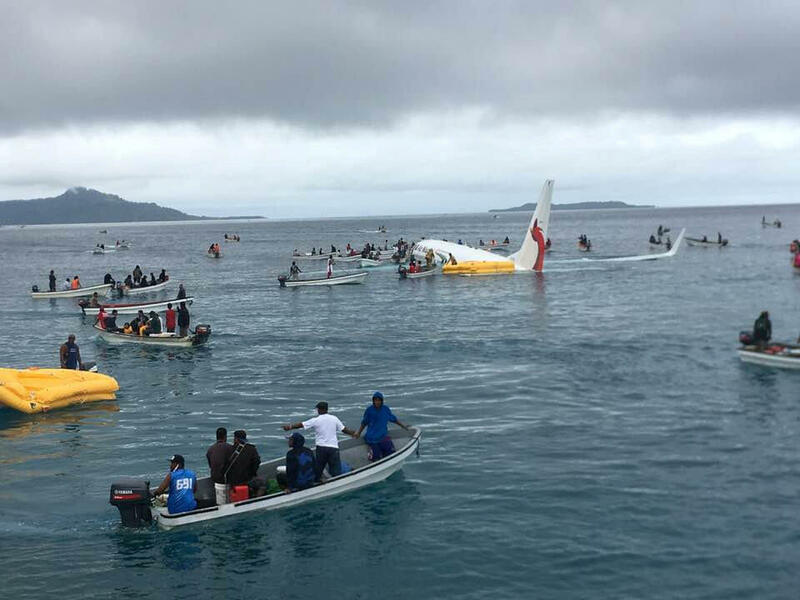 The Air Niugini plane hit the water short of the runway while trying to land at Chuuk Island, according to the airline. Seven people were taken to a hospital, according to officials, including one described as being in a critical but stable condition. He said that the latest reports he'd heard indicated the plane remained afloat in the lagoon, but some witnesses said on social media that it was sinking.